All matches will be played across 27/28 January 2018. Here's a full list of tonight's first round draw numbers. It's a long journey ahead before you can even think about the 2018 final at Wembley on 25 August, but everybody has to start somewhere. This year Challenge Cup holders Hull retained their trophy as they edged Wigan to win a dramatic final at Wembley. Watch highlights of Hull's victory above and read the match report here. Get Inspired: How do I get into Rugby League? Rugby league is a fast and dynamic game, which involves great strength, stamina and skill, and is played through the summer, so no muddy pitches, or cold, wet training nights! With so many variations, you don't have to play the full version of the game to be part of it. Whatever your age, gender, fitness level or technical ability there is a version of rugby league that will suit you. Find out more information on how you can get into rugby league here. Watch former Leeds Rhinos prop Jamie Peacock explain what it takes to be a professional Rugby League player below. Video caption: Rugby League: "the speed of an Olympic sprinter and the impact of a car crash"Rugby League: "the speed of an Olympic sprinter and the impact of a car crash"
Who's in the first-round draw? Forty-eight sides will enter the Challenge Cup first round to participate in one of the country’s oldest sporting tournaments. 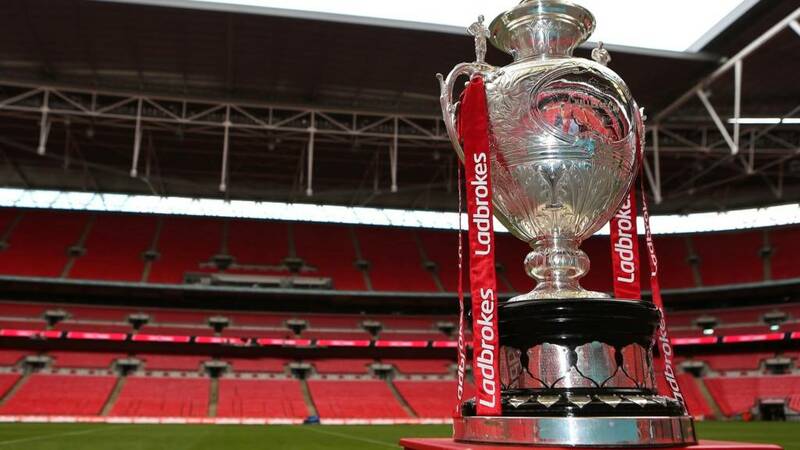 National Conference League Premier Division champions Thatto Heath Crusaders are joined by beaten Grand Finalists Siddal, who pushed Toronto Wolfpack to their limits in round three of last year’s Challenge Cup competition. The Army, Royal Air Force, Royal Navy and the Police all represent the Services, while the University of Hull are the student game’s representatives for the second year running. The first-round of the Challenge Cup will be played on 27-28 January.